[image description: a movie poster for Life Animated. The movie title is in red on a blue background. Last week I went with friends to the Portland Museum of Art in Portland, Maine, to see the indie documentary, Life, Animated. 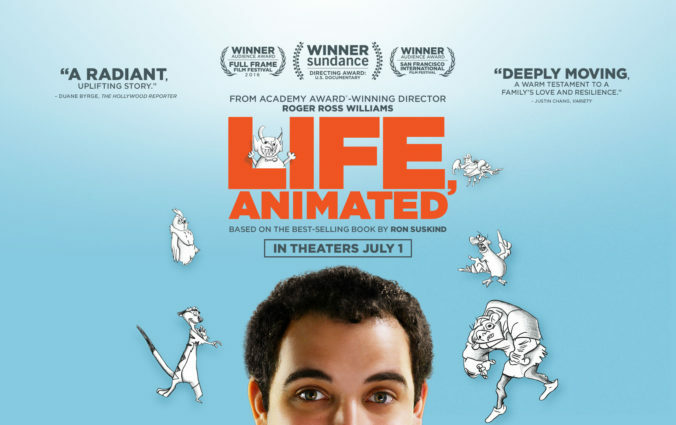 Life, Animated is based on a book by Ron Suskind, a journalist and father to Owen Suskind, the Autistic young man who is the film’s subject and an absolute delight. Owen’s greatest love in life is Disney movies and these films have sustained him through many dark years of isolation and bullying (years Owen calls “glop”) as well as all the disappointments and tragedies a well-lived life can bring. And Owen’s life is well-lived, indeed. He is a charming man, a natural leader, and a deep thinker. I write this review as an Autistic adult, myself, and I found much in this movie that made me rejoice. I confess that I was troubled by some of the language used, for example when Owen’s father talks about feeling as if someone had kidnapped his child, then later discovers Owen was “still in there” and sets himself about a “rescue mission” to “pull him out” of the “prison of autism.” I was torn at those points in the movie, between an empathy for Owen’s family, feeling themselves at a loss to communicate effectively with their child and a heavy feeling in my heart at hearing an Autistic person described that way. But I came away from the movie realizing that Owen, himself, had similar feelings about his relationship to the world. While he never directly said, “being an Autistic child was like living in a prison,” he talks about feeling so overwhelmed by all the sounds around him that fought for his attention and made people’s voices “a garble.” And when Owen talks about his glop years, he is clearly distressed by how badly he was bullied and how lonely he felt. Ron tells a story of connecting with Owen through a hand-puppet of Iago, the parrot from the Disney animated film Aladdin. When Ron spoke to Owen through Iago, Owen said that he was sad because he had no friends. I realized that, as much as I hate the phrase “prison of autism” and how it puts all the blame for communication barriers on the Autistic person and implies that we are the ones who must do all the work to enter someone else’s world, Owen’s experience of growing up Autistic must have felt very much like being imprisoned in glop. I also came to terms with Ron’s use of language because he didn’t simply decide that Owen was “locked away” and had to come join “the real world,” but, together with his wife, Cornelia, and Owen’s older brother, Walter, he entered Owen’s world. When the family realized that Owen was using Disney movies to communicate, the whole family used Owen’s love of Disney as an entry portal to join him in his world. That was what made this movie so beautiful to me: that the family encouraged Owen’s deep love for Disney and found their way into his world. 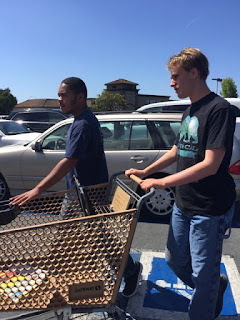 Suddenly autism isn’t as much of a “prison” when the whole family has opened that door with love and performed their “rescue” by entering and joining Owen. I recommend this movie to anyone with a compassionate heart. Owen will charm you. His life progress will cheer you. The way Owen feels his pain deeply will move you. Owen’s ability to process his pain and move through it to the happiness beyond will impress you. Owen is a man with a powerful vision of justice, loyalty, and independence. Owen is figuring things out. He is moving forward into the world, “a little bit nervous and a little bit excited,” and discovering that he can succeed as an adult without losing the magic and wonder of childhood. He has memorized every Disney film and he has internalized the valuable lessons they teach about friendship, courage, and honor. His parents still get teary-eyed when they talk about the early days when Owen was first diagnosed with autism. But only moments later, they are clearly bursting with pride at what a lovely, strong man Owen has grown to be. Owen is, in his own words, “a proud Autistic man.” The viewer will leave the theater feeling proud of Owen, too. I found his journey through the darkness of glop and back into the light, with the help of the timeless Disney stories, inspirational for my own journey through the glop of anxiety and depression, loneliness and bullying, isolation and deprivation. Owen has saved his own life with stories and, in the process, become a storyteller in his own right. Owen’s prison was not autism. He is still Autistic and he will always be Autistic. Owen’s prison was isolation from others. What saved Owen’s life was not being pulled out of autism, as if that were even possible. (It’s not. Autism is how his brain is wired and as deep a part of who he is as the Disney stories he loves so much.) What saved Owen was communication. When Owen’s family learned how to communicate with him, they opened a path of connection that grew stronger every day. For me, the strongest messages Life, Animated brings to parents of Autistic children is to never give up on finding a way to communicate with your child and never give up on helping your child find a way to communicate with the world. At one point, Owen communicated by repeating a line from The Little Mermaid over and over: “just your voice. Just your voice.” Owen’s pediatrician said it was merely echolalia, signifying nothing. Ron seemed to agree with the assessment on the surface, but beneath that agreement, he clearly harbored a secret hope that it did signify something. In my opinion, Ron was right. Echolalia is communication, as many parents of Autistic children who speak in quotes will quickly tell you. Many Autistic adults who were echolalic when younger (or still are as adults) but have developed a more independent voice will agree: when they were, or are, echolalic, communication is still happening on their part, even when it’s not getting picked up and understood by the recipient. Ron did not so quickly dismiss the echolalia as meaningless. Moreover, at one point in the film, Ron extends the question of meaning, asking, “who decides what a meaningful life is?” Ron never directly answers that question, but he doesn’t have to. Owen has a meaningful life by anyone’s measure. But the only measure that really matters in the end is Owen’s. Owen said he didn’t feel like a hero; he felt like a sidekick. But in re-making the Disney canon into a story that was truly his, he rose to become a hero among sidekicks and the protector of them all. Owen has crafted a meaningful life on his terms. Life, Animated is a celebration of communication, of victory, and of an Autistic life well-lived. I hope you have a chance to see it soon yourself. The film offers much to think about and discuss as our culture struggles to understand what autism is and how Autistics can be welcomed and honored as full participants in society. We can be helped to find our own way in the world as narrators of our own life stories. This post was previously published at unstrangemind.com. 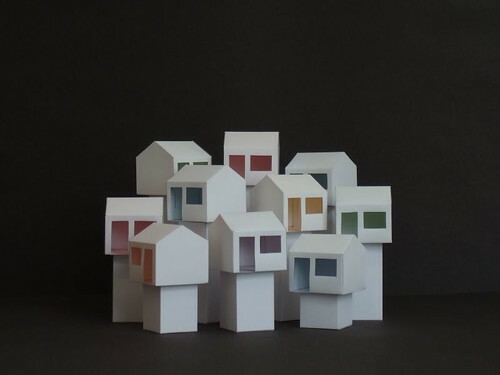 Housing options for autistic adults can be a fraught, confusing, and crucial topic, in both public opinion and policy arenas. We talked to Sam Crane, The Autistic Self Advocacy Network's Director of Public Policy, about some of the myths and facts regarding the housing choices available to autistic people of varying support needs -- including why group homes can be problematic, and the tragedy of shooting trauma victim Arnaldo Rios Soto's ongoing lack of housing options. Photo: Eirasi. Creative Commons license. TPGA: What are examples of housing policies The Autistic Self Advocacy Network (ASAN) is trying to change or implement, and how will they benefit our community members? Sam Crane: Our #1 goal is to make sure that every autistic adult can find affordable housing in the community, along with the supports they need to keep their housing. Right now, people who need independent living supports are often forced into group homes or segregated "communities." These often force people to live according to someone else's vision of a good life, not their own. Many people in group homes also lack basic tenant protections that others take for granted, such as the security of knowing that they won't lose their housing without notice, or the ability to have visitors, decorate their own living space, or choose a service provider. And when the only housing options are group homes or standalone "communities," it may even be impossible for people to find a housing provider that will accommodate their needs. Lots of autistic people are stuck in institutions because group homes think they will be too difficult to serve. That's why we've been so vocal in our support of the home and community-based services (HCBS) regulations that were passed in 2014. According to the regulations, everyone getting home and community-based services has the right to get those supports in non-disability-specific housing if that is what they want -- regardless of the level of their support needs. That could include someone getting supports to live in their own house or apartment. Anyone who does live in a group home would have the same rights that nondisabled people do when they are renting a house or apartment. That includes protections against being kicked out of housing for no reason. It also includes the right to visitors, the right to privacy, the right to set one's own schedule and the right to eat what and where one wants. A group home would only be able to interfere with those rights when there is a compelling, individualized, and documented reason -- for example, a group home could help keep a person with food allergies away from food they are allergic to. SC: Traditionally, if you needed housing supports, you would get them as part of a "package" from a particular agency. The support agency would be responsible for choosing the staff, setting the schedule, and deciding which supports you'd get. Self-directed supports give that control to the person with a disability. The person with a disability gets a budget that they can use to hire their own support staff and the support schedule. Since this process can be complicated, people who use self-directed services often also have someone to help them make decisions about what to do with the budget. That helper can be a family member or a case manager. Unfortunately, not all HCBS programs allow for self-directed supports. TPGA: What are some concerns about group homes that our community members need to understand? SC: There are a lot. First, we know that people who live in their own apartment or with a small number of roommates have better quality of life. They are more likely to have a job, more likely to have opportunities to make choices, and less likely to feel lonely. In larger group homes especially, we see situations in which group home staff will want to make everyone follow the same schedule and rules since it's much easier to manage the group home that way. We've also seen a number of exposés over abuse in group homes that had been promoted as "model" placements for people with disabilities. People who have more choice in their lives and who are more integrated into the community are less likely to be abused by staff or by other people living in their home. This is partly because the more a person interacts with people other than staff and roommates, the more likely it is that they will have someone to go to if they are being abused. It is also partly because when you choose your own staff, you can fire staff members who make you feel unsafe. Finally, group homes give people a lot less flexibility in where they live -- especially people who live in rural areas and people who need a lot of support. If you live in a rural area, there might simply not be enough people with disabilities to fill up a group home that is close to your family. You end up having to move far away. Group homes often also turn away people who have complicated support needs or who need more supports than they typically provide, because when you're serving many people in one place it's difficult to add that sort of flexibility. It's a bit ironic because, when we say that we want everyone to be able to live in their own apartment, one of the most common responses we get is that some people have care needs that are "too high" for that to be an option. But in reality, individualized housing options can actually be better at accommodating people whose needs are too complicated to be met by a group home that's also trying to serve many other people. This is what we're seeing happening to Arnaldo Rios Soto, the autistic man in Florida whose therapist was shot at by police while they were walking in a neighborhood around his group home. Mr. Rios Soto was too traumatized to go back to that group home, but he hasn't found anywhere else in the community to go. That group home was the only one in the state that would take someone with his needs. As a result, he has been in a psychiatric hospital for over a month. In a better world, Arnaldo's ability to live in the community wouldn't be dependent on whether someone has already built a group home for people with the same needs as his. He would only need to worry about finding an apartment he likes and finding supporters in his area who can serve his particular needs. TPGA: Does ASAN have a stance on housing options like Shared Living? SC: When done right, shared living arrangements are a great way for people with disabilities to live in the community while getting supports they need. People with disabilities can choose a roommate or host family to live with. That roommate or host family then helps provide support. In many of these arrangements, the roommate or host family can even become a person's self-directed service provider and be paid by Medicaid for the supports they provide. Not everyone wants to live with their support providers, but many people prefer to get supports from live-in roommates, friends or family members and it's great to have that available as an option. TPGA: Why do people need to be wary of phrases like "intentional community"? SC: Lately we've seen a lot of people use phrases like "intentional community" to describe settings that are not really integrated or community-oriented at all. These settings may serve dozens or even hundreds of people with disabilities onto a single, largely self-contained campus. The people developing and running these communities are often well-intentioned people, often with the vision of offering people a ready-made "community" that they can be part of. But in practice, they tend to be very isolating. 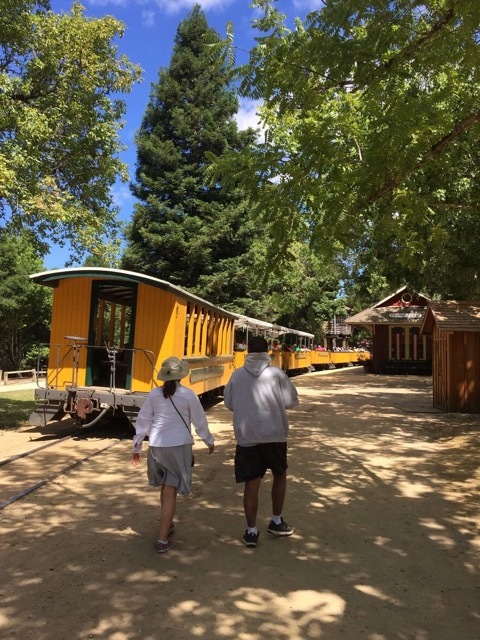 They're designed so that people have no need to leave the campus on a daily basis except on group trips -- people have their job, health care, and daily activities all clustered into the same campus. They also limit people's choices -- for example, if you end up living in an "intentional community" that is connected to a farm and you decide that farming isn't for you, you may not be able to switch jobs and still keep your housing. what the term "intentional community" initially referred to. We're not opposed to people with disabilities choosing to live with other people who share common values or lifestyle preferences. What we are worried about is when people set up segregated, campus-style housing for people with disabilities under the guise of creating a "community." TPGA: Many autistic people who are able to work and/or live independently still need housing accommodations, with regards disability-related social and executive functioning needs. Do you have recommendations for resources for autistic people who want or need supported housing options, and families who want to do right by them? SC: One really good resource is your local Center for Independent Living (CIL). The National Council on Independent Living (NCIL) has a directory online. Centers for Independent Living were created to help support people with disabilities who want to live in the community. They can help people find accessible housing, get housing-related accommodations, and navigate their options for in-home supports. They also can offer training in independent living skills. If you're facing discrimination or having a hard time getting supports in place, you can also reach out to your state Protection and Advocacy program. Dr. Kripke serves as primary care physician for many of the San Francisco Bay Area’s most medically fragile and behaviorally complex people with developmental disabilities. Her perspective is also informed through parenting an autistic teen. Dr. Kripke's presentation on medical and trauma-informed practices was part of a panel on Understanding Autism, Aggression, and Self-Injury at Support for Families in San Francisco. She spoke alongside Brent White and Lindsey Anderson, who presented on autistic personal and professional insights. 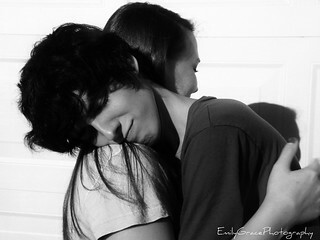 Photo: Emily Burnett. Creative Commons License. I’d like to give everyone a big group hug. Regardless of who you are, if you experience meltdowns, if you are a parent or professional trying to support someone through meltdowns, this is hard on everybody. We need to treat each other gently. For people who have cognitive and communication differences, illness frequently presents as a change in behavior or function instead of a patient complaining of a sign or symptom. For example, a broken bone is not usually a hard diagnosis to make. A person comes in and says, “I fell, and I think I broke my ankle.” Their doctor does an x-ray and sure enough, you broke your ankle. But in situations where people are unable to effectively communicate the cause of their distress, it’s amazing how easy it is to miss something as obvious as a broken bone. If it is hard to notice a broken bone, imagine how easy it is to miss something such as a headache or heartburn? Communication is the key to success. All people communicate. That’s an assumption we have to have, even if people are non-speaking, even if people communicate in a variety of ways, even if they don’t have a formal communication system: our job is to try to figure out how that person communicates best, and partner with them. It’s also important to recognize that communication is a two-way street. We can’t say, “That person doesn’t communicate.” Communication is a relationship between two people. Both people have a really important role -- the person who’s trying to get something across, and the person who’s trying to receive the message. If communication is breaking down, it’s not a function of one person; it’s a function of a relationship between two people. “Challenging behavior” is a caregiver complaint, a complaint for someone who’s supporting someone else. When anyone comes in with a complaint of challenging behavior, my first question is “Who is being challenged, and why?” The same behavior may be a problem for one person, but not for another. It may not be the behavior that is changed, but a change in a caregiver’s capacity to cope. For example, if someone is extremely active, it might have been ok when their caregiver was in good shape, but not OK when their caregiver starts having back problems or has an injury and can’t keep up anymore. People with disabilities have the right to maximize their potential, and we should be working on that -- but so do caregivers. If people are feeling like their caregiver responsibilities are interfering with their ability to pursue their own dreams and get their own needs met, that’s a problem that also needs to be solved -- they need to be better supported. Sometimes additional adaptive equipment such as augmentative communication equipment,8,9 hoyer lifts, or home modifications can make a big difference. I want to talk a little bit about meltdowns versus tantrums and the difference between then. The solution is different, depending on what’s going on. Meltdowns are more like the blue-screen-of-death on your computer. It is as if “my brain is overloaded so it’s going to shut down temporarily.” If someone is having a meltdown, they’re overwhelmed. It is a reactive mechanism to being overwhelmed. It can be triggered by sensory things, being fatigued, too many changes or social pressures or something that is going on in their life. It continues even if it doesn’t get the person any attention. Safety may also be compromised during a meltdown. Meltdowns are not goal-oriented. It is not a way to get someone else to do something. The person may need help regaining control. A tantrum is a completely different thing; it’s more want-directed. It’s about trying to control someone else’s behavior. For example, “I want the gum out of your purse, and I’m going to sit here and cry and kick until I get the gum out of your purse.” People having tantrums check to see if their behavior is working. If they get ignored, they might escalate, or give up. During a tantrum, your protective mechanisms are intact and you are not likely to hurt yourself. You are in control, and trying to manipulate. If the goal is accomplished, the tantrum will stop. If it works, it also means that you may use that strategy to get what you want. It’s important to know whether the behavior you’re observing or trying to support someone through is a meltdown or a tantrum, because the strategies will be different. In a meltdown there’s no goal. The person can’t process at that time. Reasoning and lecturing won’t work. Reasoning or bargaining might work with a tantrum, but it’s not going to work with a meltdown. Behavioral methods help manage tantrums, but they may further stress and traumatize people having meltdowns. The old, outdated model is to think of challenging behavior as a problem with the person who’s having the behavior. They’re a bad person because they’re having this behavior. They are sick or having some disability-related problem. The old solution was to try to control the person who’s having the problem, to restrain them -- either with medicines or physically. If that couldn’t be done, the solution was to remove them from society, or to seclude them. In the past people even resorted to medical procedures like surgery on the brain. That’s the old model. We know better now. A newer model is to change people’s life circumstances for the better. We cannot manage behavior in the context of unacceptable lifestyles. If someone’s situation, their social environment, the activities they’re doing, the people they are with, their physical environment is unacceptable to them, then that is the problem that we need to fix. For example, if they can’t be in the room because that air conditioner is too loud, and causing them such discomfort that they feel like they’re going to melt down, the solution isn’t to punish them, to yell at them, or to tell them they’ll be strapped to that chair if they don’t stop their behavior -- the solution is to turn off the air conditioner, or, if that’s not possible, to move to a different environment. The problem isn’t always obvious. Often, it isn’t anybody’s fault. WHAT DOES “TRAUMA INFORMED PRACTICES” MEAN? We need to focus on skill development: caregiver skill development, as well as skill development for the person who is stressed. This might be learning a new communication technique, learning better ways to get your needs met, or learning strategies for self-calming (or how to help someone else to calm). It’s about practicing mindfulness, skill development, knowledge, full and active inclusion. It is about giving people opportunities to do things they want to do, and that other people have the opportunities to do, and overall improving quality of life. I am not trying to diminish how challenging some of these situations can be, how stressful, or even how dangerous. But escalating those situations through harsh language, reacting emotionally, restraining, or using other “old” methodologies, only makes it worse. In general, and keeping in mind that every situation is unique, we want to de-escalate. We’re not going to eliminate meltdowns. And most of us, if we’re honest with ourselves, whether we have disabilities or not, have meltdowns on occasion. It’s more a matter of frequency, intensity, and what they look like. If you’re supporting someone who has a challenging behavior or meltdowns, and you just guessed that it had to do with their health, you would be right 75% of the time. You should always think about medical causes first. Think about them before you think about other reasons for behaviors. Also, while challenging behaviors are extremely common, they don’t tend to last forever. Meltdowns last minutes to an hour or two. The more dramatic ones tend to be shorter. It doesn’t feel like a short time when you’re going through it. But people tire. Also, when you’re with someone who is going through a difficult period, like puberty, a change in their routine, or when they are developing a medical problem, it can feel like the meltdowns and challenges will never end. Whenever you’re in the middle of it -- head banging, chewing on skin causing infections, having episodes in public places -- time moves so slowly. There’s a lot of fear and emotion that get associated. Remind yourself that it doesn’t last forever. Even if you do nothing, data shows that challenging behavior tends to get better with time. I got this acronym and strategy from Deborah Lipsky, who’s an autistic first responder. Her book is called Managing Meltdowns. I highly recommend it for anyone who is working with people who have behavioral crises of various sorts. She describes what meltdowns are like from the inside, and gives a very easy-to-read and clear explanation of what to do. The S.C.A.R.E.D. method is to do the opposite of what you feel like doing. Most people’s impulses, including my own, are to get upset, to lecture or to yell, to be embarrassed, and to try to control the situation. When I see someone who is upset, who is at risk of hurting others, or at risk of hurting themselves; someone getting themselves in trouble or getting me in trouble, my own anxiety levels increase, and I get worked up myself. This isn’t helpful. It’s really important to take care of yourself, so that when this situation comes up, you can go your calm place. If you have those impulses, like I do, to control them. Keep the lid on them. SAFE: If you’re not in a safe place when a meltdown happens, then it’s important to get into a safe place. If you are supporting someone who is flailing in a way that someone nearby could get hit, or if there are objects nearby that could bet thrown, don’t focus on trying to control the person; instead focus on getting people and objects out of the way and getting the person to a safe place. If the person is in the middle of the street, get them to the sidewalk. If it’s happening in the classroom, either help them leave the classroom, or help other people leave. Keep a safe distance away. ROUTINE: If you know what that person’s safe routines are in general, try getting them into one of their safe routine activities or patterns to work through it. DEVELOP an intervention plan: This is not something you can do in the moment, but hopefully you’re not entering these situations without a plan in place. If you don’t have one, then as soon as the episode is over, is a good time to start developing a plan for what to do next time. Respect me when I have a meltdown. I have meltdowns periodically -- don’t overreact. I’ll pull myself together faster if you have patience in the moment, not if you have hard words. It’s not nice to make me feel bad about it. Only touch me if I’ve said you’re someone who can -- respect my space in the moment. I have trauma from being underestimated so I melt down often because of my trauma -- it’s not your fault. When trying to figure out why meltdowns happen, think about what precipitated it. How can we in the future reduce the frequency? If that’s not possible, how can we reduce the meltdown’s intensity or length? Also think about the conditions that may have reduced the person’s capacity to cope such as fatigue, hunger, too much sensory stimulation, too many people, or too many demands. What is the first step to sorting out the cause of a change in behavior? I had a patient who was brought in by her sister. Her sister didn’t know her very well, because she’d been living with her mother and the mother had just passed away. She thought something was wrong but she didn’t know what. I didn’t know the patient at all. The sister was insisting that the patient was non-verbal and couldn’t provide me with any history, but I said, “Let’s try. We have no idea what’s going on here. It can’t hurt.” So I started trying things: I sat her down in front of my computer to see if she could type. She did type letters but nothing I could interpret. I got out pictures of anatomy and bodies to see if she might point to something, or one of the pictures might get a reaction. I gave choices like “show me how you say ‘yes,’ show me how you say ‘no,’” That didn’t work. Then I said, “touch hurt.” She took my hand, and put it on the right upper part of her tummy. I ordered a sonogram. She had gallstones. That is a really, really hard diagnosis to make without someone giving you a hint, and telling you where they have pain — there’s nothing that shows up elsewhere on their body to indicate they have gallstones. Without her hint, I would not have been able to make her diagnosis until she was sick enough to be in the hospital. The only way I made that diagnosis was because of the information she provided. Trying this kind of strategy doesn’t always yield useful results, but it does often enough that it’s always worth trying. It also sets the person thinking, “They’re trying to work with me on this; I’ll try a little harder to communicate with them; I’m going to try to figure out a strategy to get my needs across, because they’re really listening.” All of us shut down if we think people aren’t listening to us, and we don’t try to get our communication across. A lot of time people can communicate better than you think they can, but they don’t try because they think people don’t listen. Giving people the impression that you are listening to their verbal and non-verbal cues will increase how hard they try. Another case I use with thanks to Aiyana Bailin: A person with no language communication skills, who does not speak or type or use sign language, keeps hitting herself on the side of the head. The caregivers are concerned that this could cause an injury. Presume that there’s a reason, and when they’re calm, ask, and systematically search for the trigger. 1 through 6 are primarily old-school thinking. When someone’s having an alarming behavior, if you don’t know why, and if they’re at the risk of hurting themselves or other people, ninety percent of the time, the primary focus is on getting that behavior to stop. People are eager to do whatever it takes, because otherwise something bad will happen. I don’t want to minimize people’s stress and fear, because the consequences of these behaviors can be really significant. But it’s important to take your time to figure out why it is happening. I know of someone who wouldn’t stop chewing on his thumb. Eventually the thumb got gangrene and fell off. That’s a really significant behavior. So after trying everything else they could think of, his doctors decided to try a physical restraint. They built a brace that would allow him movement but not allow him to get his hand into his mouth. He broke his own arm getting his mouth to this thumb. Another story: In the middle of a meltdown, a patient was banging his head against the wall. His caregivers were alarmed that he might get a head injury, so they put their hand between his head and the wall. What do we do in the middle of a meltdown? Back off, stay calm, remove things that could be dangerous. It might have been OK to come up from the side, and slide some sort of pad between his head and the wall. But they put their body between the person who was out of control and something hard. This was not good. The patient bit the caregiver. Another staff tried to help the caregiver because he was getting bit. He tried physical restraint by holding the patient’s arm. The patient’s arm snapped and was broken. He ended up in the hospital with complications, and now has a permanent physical disability. I’m not trying to underestimate the significance of the behaviors. But restraint, punishment, focusing on the behavior instead of what’s causing it simply doesn’t work. It gets people hurt -- both people who are struggling, and those trying to help. We need to get through these episodes safely, and then focus on why they happen. If we don’t understand why the behaviors happen, we are less likely to be successful in stopping them, and we’ll mismanage them. Here is another story about why we need to presume there’s a reason for behaviors, and systematically search for those reasons: A person was going around doing really challenging things, like going up to law enforcement and grabbing them, laying down in front of cars, a whole variety of things that are quite alarming and dangerous. He was losing his housing, because his caregivers didn’t feel they could keep him safe. He’d also seen multiple doctors. Then a primary care doctor did a really careful physical exam, from head to toe -- and they found a little toy bead in his ear, removed it -- and the behaviors stopped. Imagine, like this man, having even a very simple condition -- like a yeast infection, an itch you can’t scratch, conjunctivitis, or constipation. Now imagine you can’t tell anyone about it or help yourself. Sometimes people try to get your attention by doing things that can appear to be aggressive, but they’re really saying, “I have a problem, and I need help.” That’s why this patient was going to authority figures and trying to get their attention -- it looked aggressive, but he was actually asking for help. Another story: a patient was going up to people and punching them in the chest. That was viewed as scary and aggressive. It turned out he was having heart pain. He was trying to tell people that he needed help with a medical problem. If we had simply given him medication to calm him down, we would have completely missed the point, and also missed a major medical problem. Another situation: A patient started to throw chairs at caregivers. She was having increasingly severe meltdowns. It turned out, she was being hit by a caregiver. The caregiver was well-intended; the patient had behaviors that she feared were going to get her in trouble, and was handling it in the way it had been handled in her childhood, which is with very tough love. She was disciplining her by saying firmly, “You’re not doing that!” and giving her a slap. She wasn’t trying to hurt the person, but was trying to manage things in the way she knew how. Nevertheless, the person was being abused, and that’s where the behavior was coming from. When the staff was fired, the behavior stopped. Head: Migraines are a very difficult diagnosis to make if someone can’t tell you that they have a headache. Hearing or vision change -- caregivers are really poor at recognizing these problems, people can be totally blind or deaf and caregivers may not notice, especially if they have other motor challenges. Dental problems are really common, and caregivers and doctors often don’t think about it. Consider the last time you had a toothache or gum problem and how painful that was. Other unrecognized injuries are also possible. Urinary tract infections, kidney stones, or urinary tract obstructions -- not being able to pee. Reflux (heartburn) is really uncomfortable. It can present as insomnia. There can be other gastrointestinal complications, such as constipation. Thyroid problems, or Traumas, such as broken bones or orthopedic injuries, or sprains. I’ve had patients whose injuries have presented in the form of “they [patient] slapped me!” when the caregiver was trying to help them up using their broken arm. They were defending themselves by slapping them away. People can behave very violently when they’re being injured, even if it’s unintentional. Seizures can present in very unusual ways. Not all of them present as the typical all-over body shaking. Any behavioral pattern that lasts about three minutes and looks the same each time could be a seizure. This could present as flailing that looks aggressive; you can have emotional lability (e.g. they might start to laugh or cry out of context or very suddenly or inappropriately), but that’s actually a type of seizure. Think about seizures because there can be some very uncommon seizure types. Also side-affects of medications can go unrecognized. That is really common. Story about reflux: A patient has such bad insomnia that their parents were at their wits’ end, and considering an out-of-home placement. But the insomnia was uncharacteristic; most of their life they’d slept just fine. So I started thinking why this person might not be sleeping, and worked through this H-U-R-T-S mnemonic. I got to Reflux, and I thought, “When people lie down it usually makes their heartburn worse; why don’t you just try some over-the-counter heartburn medicine and see what happens?” Two days later, the symptoms were done and the family was no longer thinking about out-of-home placement. It didn’t solve all this person’s problems, but again -- simple medical problems can become big problems if you can’t get the help you need. Abuse, even unintentional or well-meaning. Increase in arousal or self-stimulation. Sometimes people have sensory issues where they don’t really feel their bodies, so hitting or tapping themselves can help them feel where their body is, in space. It could be a sign if psychiatric disability; a lot of times when we don’t understand why someone is doing something, it can look like it came out of nowhere, and it can confused with hallucination or seem completely irrational. Not understanding why someone is doing something is not the same thing as there not being a reason. That being said, there is a fair amount of psychiatric disability in this population, there can be bipolar disorder, schizophrenia, anxiety, depression -- and psychiatric disabilities need to be treated with psychiatric medication. Story: A patient of mine was living in a group home that had recently had a budget cut, so they weren’t doing that many activities. My patient figured out that if she threw things, she would get her preferred staff member to work with her, and she would get to do what she wanted to do -- she was able to establish power and control through throwing things. Sometimes Functional Behavioral Analysis can be useful: taking data on what happened right before the behavior and also what happened right after might help you start to see what’s going on. You might start to see patterns. You can take data on what changed in their life: activity level, ability to communicate, behavior, diet, mood, etc. Interpreting pain is also sometimes challenging. Sometimes I’ll ask a caregiver, “Do you believe this person is in pain?” And they’ll say, “No, I don’t think so.” And I’ll say, “How do you know?” They’ll say, “Well, they aren’t doing the things we’d usually expect from someone in pain.” They aren’t grabbing the part that hurts, or making groaning sounds, crying, or grimacing. But not everybody with a disability does those things -- and frankly, non-disabled people don’t always, either. Those behaviors are usually a response to acute pain, like stubbing a toe. But if we have chronic pain, like the back pain I’ve had for the past three years, I don’t go around making those facial expressions and movements all day long. Sometimes people never make those indications. Also bear in mind that we behave differently in a social environment, when people are watching, than we do when we’re alone. If I stub my toe and nobody is watching, I might not say much. If I’m in a room with people, I might make a bigger production. Maybe the person did make a facial expression, but it was quick, and nobody was watching at that moment. Often people with disabilities who don’t use speech to communicate are used to other people ignoring their communications, so they may not be trying very hard to communicate their pain. Respecting agency: When you talk about self-injurious behaviors, it’s important to react to what is actually happening, and not focus on fear of what may happen. Hurt vs. Injury: Injury is bad. But we do things that hurt all the time. We play rugby. We pluck our hair. We get tattoos. We engage in things that aren’t going to cause any serious damage, but which are uncomfortable, like going camping. If it hurts, but isn’t injurious, try to lower your anxiety level. You may not need to intervene. Hazard vs. Risk: I was supporting somebody at the child care area of the gym. The child kept running into the gym through the alarm door. There was another alarm door that went into the street. The child care supervisor said, “This child can’t be in the childcare area, because they keep running out the alarm door that goes into the gym, and therefore they could go out through the alarm door into the street,” even though that had never happened before. The kid was interested in being in the gym, not outside. True, it is a risk. The kid could run in the street. But it is a small enough risk that it isn’t a real hazard. The chances the kid is going to run out the door, into the street, and get hit by a car is low and doesn’t justify excluding the child from the program. Unusual or atypical behavior vs. behavior that violates the rights of others: it’s important to respect people’s natural movements and their natural behaviors, and not interfere if they’re not hurting anybody. We need to interpret behavior developmentally, that is, if someone is a young child and they have an imaginary friend, we don’t consider that psychosis. Some adults also manage loneliness or work out problems by talking to imaginary friends. Sometimes somebody might be doing something that’s completely developmentally appropriate, like asking repeatedly, “When are we going to get there?” because they don’t have much experience with travel or they have a short term memory issue. That is not be a behavioral or psychiatric problem. It may just be developmental appropriate. It needs to be tolerated and accommodated. Meltdowns don’t usually come out of nowhere; there’s usually a buildup. It might start as a tantrum -- but we usually know it’s coming. If the thing that’s contributing to the meltdown is not addressed, it’s going to explode. If the problem is a sensory issue, there’s no “mindful” way to address it -- you need to take care of that sensory issue, or remove the person from that sensory environment. Otherwise you’re on the path to an inevitable meltdown. You don’t want to get into a power struggle. When someone’s getting agitated, you don’t want to come at them head-on — if you confront them like that, you could get hit, you could get hurt. Try to give them space. If you have to approach, be non-confrontational and give plenty of room and warning. Try not to trap someone and try not to position yourself so you are trapped. 1 Guinchat V, Cravero C, Diaz L, et al. Acute behavioral crises in psychiatric inpatients with autism spectrum disorder (ASD): recognition of concomitant medical or non-ASD psychiatric conditions predicts enhanced improvement. Res Dev Disabil. Mar 2015;38:242-255. 2 Hutchinson LM, Hastings RP, Hunt PH, Bowler CL, Banks ME, Totsika V. Who's Challenging Who? Changing attitudes towards those whose behaviour challenges. J Intellect Disabil Res. Feb 2014;58(2):99-109. 3 Mandell DS, Xie M, Morales KH, Lawer L, McCarthy M, Marcus SC. The interplay of outpatient services and psychiatric hospitalization among Medicaid-enrolled children with autism spectrum disorders. Arch Pediatr Adolesc Med. Jan 2012;166(1):68-73. 4 Roth DL, Haley WE, Hovater M, Perkins M, Wadley VG, Judd S. Family Caregiving and All-Cause Mortality: Findings from a Population-based Propensity-matched Analysis. Am J Epidemiol. Oct 3 2013. 5 Hsiao Y-J. Pathways to mental health-related quality of life for parents of children with autism spectrum disorder: roles of parental stress, children's performance, medical support, and neighbor support. Research in Autism Spectrum Disorders. 2015;23:122-130. 6 Bekhet AK. The Mediating Effects of Positive Cognitions on Autism Caregivers' Depression and Their Children's Challenging Behaviors. Arch Psychiatr Nurs. Feb 2016;30(1):13-18. 7 Weiss JA, Tint A, Paquette-Smith M, Lunsky Y. Perceived self-efficacy in parents of adolescents and adults with autism spectrum disorder. Autism : the international journal of research and practice. May 27 2015. 8 Walker VL, Snell ME. Effects of augmentative and alternative communication on challenging behavior: a meta-analysis. Augmentative and alternative communication. Jun 2013;29(2):117-131. 9 Hutchins TL, Prelock PA. Using communication to reduce challenging behaviors in individuals with autism spectrum disorders and intellectual disability. Child and adolescent psychiatric clinics of North America. Jan 2014;23(1):41-55. 10 Keesler JM. A Call for the Integration of Trauma- Informed Care Among Intellectual and Developmental Disability Organizations. Journal of Policy and Practice in Intellectual Disabilities. Mar 2014;11(1):34-42. 11 Charlot L, Abend S, Ravin P, Mastis K, Hunt A, deustch C. Non-psychiatric health problems among psychiatric inpatients with intellectual disabilities. J Intellect Disabil Res. February 2011 2011;55 part two. 13 Croen LA, Zerbo O, Qian Y, et al. The health status of adults on the autism spectrum. Autism : the international journal of research and practice. Oct 2015;19(7):814-823. 14 Nicolaidis C, Kripke CC, Raymaker D. Primary care for adults on the autism spectrum. The Medical clinics of North America. Sep 2014;98(5):1169-1191. 15 Ryan R, Sunada K. Medical evaluation of persons with mental retardation referred for psychiatric assessment. Gen Hosp Psychiatry. Jul 1997;19(4):274-280. 17 Office of Developmental Primary Care. Evaluation of Behavior Change. Available at: http://odpc.ucsf.edu/sites/odpc.ucsf.edu/files/pdf_docs/Evaluation%20of%20Behavior%20Change_1.pdf. Accessed 8/10/16. 18 Zelenski, SG. Evaluation for and use of psychopharmacologic treatment in crisis intervention for people with mental retardation and mental illness. In: Hanson R, Wieseler K, Lakin C, Braddock DL, eds. Crisis: Prevention & Response in the Community. Washington, DC: American Association on Mental Retardation; 2002:243-256. The specific learning needs of Autistic students are not always met in traditional special education, or even in specialized autism classes or schools. 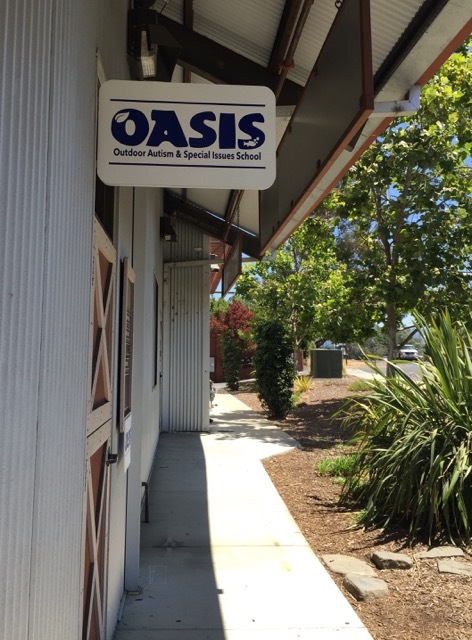 We talked with Susan Walton, founder of the new OASIS school near Santa Cruz, California, about ensuring her autistic son had access to an educational environment that not only helps him learn, but lets him thrive. TPGA: Tell us about OASIS. Who are your ideal students? Susan Walton: OASIS, the Outdoor Autism and Special Issues School, is a new Non-Public School in Freedom, California, which is in Santa Cruz county. We’ve developed a program that we are excited to offer to new students. We serve seriously autistic students between Junior High and school completion. But more specifically, we cater to those autistic students who need a lot of activity. 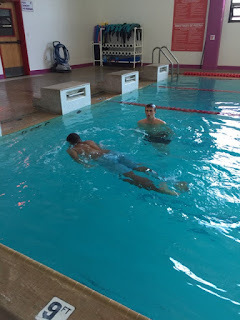 Our students crave movement and need variety. They are stifled by being in the same room for extended amounts of time, and this can often lead to real school problems. Our students tend to be hands-on learners who thrive at unraveling challenges, as opposed to taking in knowledge from tutelage. TPGA: What is the curriculum at OASIS like? How is it different from other autism schools and classrooms you've encountered? Susan Walton: We’ve designed our curriculum to be highly functional, and we pair most lessons with real-world opportunities to practice. We focus on how traditional subjects like math, science, and language are tied to daily life. And we are passionate that these things must be worked on in the community and in the world, not in fake classroom models. Our teacher delves into what our students love. We get behind the scenes and deconstruct whenever possible. We are constantly working with people in the community to discover what they do and how they do it. Some of the lessons we’ve had lately have been at a restaurant, a bakery, a radio station, an orchid grower, and a sign painter’s studio. We love to learn about professions and how the objects we encounter every day come into being. 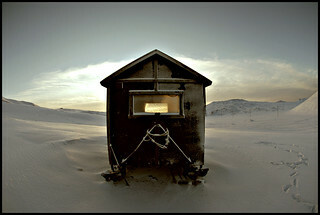 And we learn from the outdoors, especially about the natural sciences. We are fortunate that we have access to an amazing State Parks system as well as tons of marine exploration opportunities. We also take life skills very seriously. Shopping, doing laundry, riding the bus, using the library, going to the farmer’s market, the pharmacy ... these are not “field trips” or occasional opportunities. These are things that we do every week. These are skills that take practice. Part of the challenge and the pleasure in these are that the places are never the same two days in a row. And we swim every day, which gives us the opportunity to practice all kinds of self-care and independence skills that can be glossed over in traditional school settings. So our two biggest differences are that we are so active, and that we spend so much time on community skills. Our students get a lot of movement and exercise, rain or shine. We look upon our premises as a place to come and go from, a home base, but we don’t hang around there for hours on end. 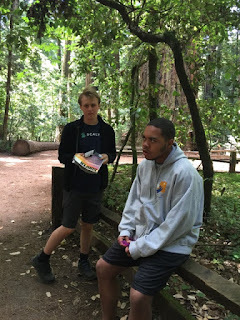 And we believe there is no reason to wait until a student is 18 to begin thinking about community interaction, vocational tools, and life skills. It is nonsensical to attempt to acquire those things in a phony version of the world. Classrooms are phony. You buy food in a supermarket. You do laundry in a laundromat. So that’s where we work on those things. TPGA: How did you end up starting your own autism school? Susan Walton: I watched with distress as my son flamed out of school after school. I sat in more meetings than I could ever count, trying to explain to various people why their seated, indoor demands were increasingly painful to him. Why he hated coming to school. I tried to convince them of the movement and activity level he needed. I knew that each of these people had good intentions, but he still wasn’t getting what he needed. I eventually had to admit that the very structure of those programs was the reason that they couldn’t provide it. The only way he could spend a large portion of his school day learning in motion was if I stopped trying to convince others to provide it and I got busy arranging it directly. I used support staff to create a program that I believed in for him. Less than a year in, it was very clear that he was thriving. He was educationally engaged, and taking the initiative in all kinds of new ways. Bouts of aggression and self-injury, which had reached their zenith in what was called an “ABA-based” school, had become very few and far between. His overall anxiety level cooled way down. I knew we could never go back to the other way. And I knew he was not the only student struggling the way that he had been. So I began the process with the California Department of Education to become certified, so we could add more students. It was important to have that certification before growing. TPGA: How did you select the school site? Susan Walton: It was a combination of need, luck, and lightning, I suppose. Our first site was a simple classroom in a local church, and it offered some nice community aspects and shared resources. But we outgrew it. We wanted to stay near the warm pool where our students swim, and be near commerce like a grocery store and a bus stop. When I walked into our current site for the first time, I had that feeling of rightness you hope to find. We have downstairs neighbors like a dojo and an exercise studio. But we have no close neighbor on the building’s upper floor, which we also love since we have no intention of shushing our students, or shutting down stims. We have a lovely amount of space with facilities to prepare and eat meals, within easy reach of all the resources we value, from beaches to stores, books to buses. And a meeting room for IEPs. TPGA: Why do you think there are so few appropriate options for high-support autistic students, given their diverse educational needs? Susan Walton: Certainly the shortage of Special Education teachers in California (and nationwide) plays a big role. And the rigors of the Department of Education process is probably also a factor. Any school that sets out to do something other than what currently exists has to expend serious effort complying with all of the systemic challenges, even as they preserve what they want to offer. I came to the process with both passion and patience, but there were times I thought we’d never get through it. Certainly I came to understand -- at a whole new level -- why all the special education schools I’d ever seen operated the way that they do. But I am sure this is the same in many industries. Status quo is always easier than being different. Educators need to bring passion and commitment to new models. It can be done. TPGA: What are the next steps for the school? Susan Walton: We want to grow at a pace that allows us to preserve our strengths. I have a lot of ideas about new curriculum we can develop to integrate with our community, new partnerships, ways we can grow and delve into student passions. I’d like to involve more general education students in internships, because we had a couple of student interns this past summer and it was a big success. Most of all I want to create vocational paths for our students as we identify their individual interests and build community relationships. TPGA: How many students can your school currently accept, and how do they apply? Susan Walton: We intend to serve five students this year. Parents can contact us directly at info@outdoorautismschool.com to ask questions about potential fit, or they can ask their school district to make contact with us so we can work through the IEP system. Ultimately all OASIS parents do need to work with their school district to place their student at our school.